Joel Bach a paramedic taught a Heartsaver CPR class to 13 of the ABR Ski Trails team of employees, volunteers and friends. 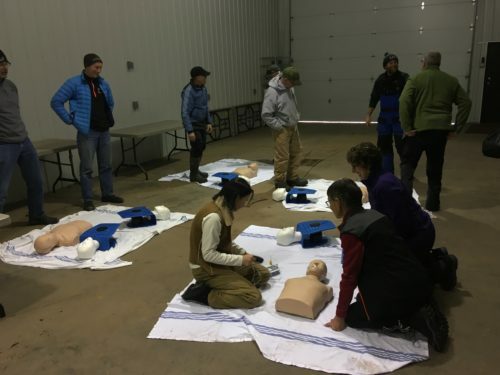 There are plans to have a First Aid and Stop the Bleed program for the team this spring/summer. 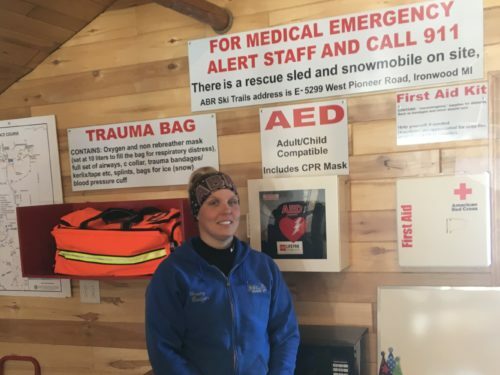 Alicia Zazeski a paramedic and groomer for ABR set up a trauma bag, first responder kit that was mounted and labeled on the wall in the trailhead cabin of ABR. 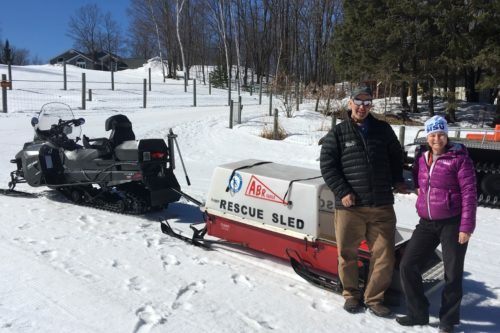 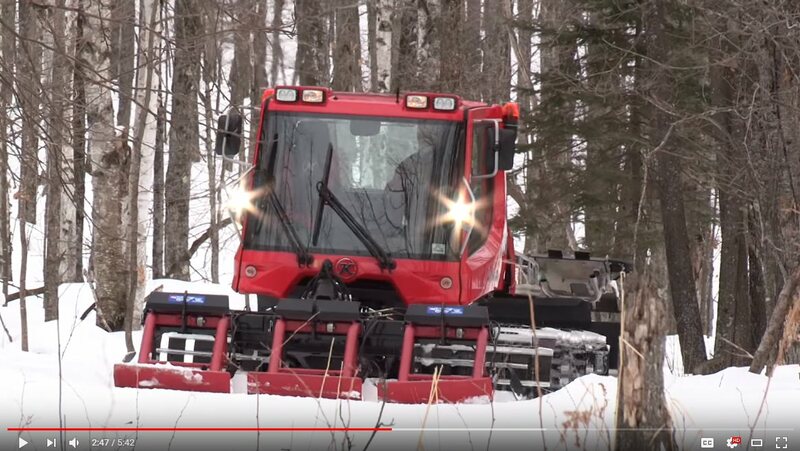 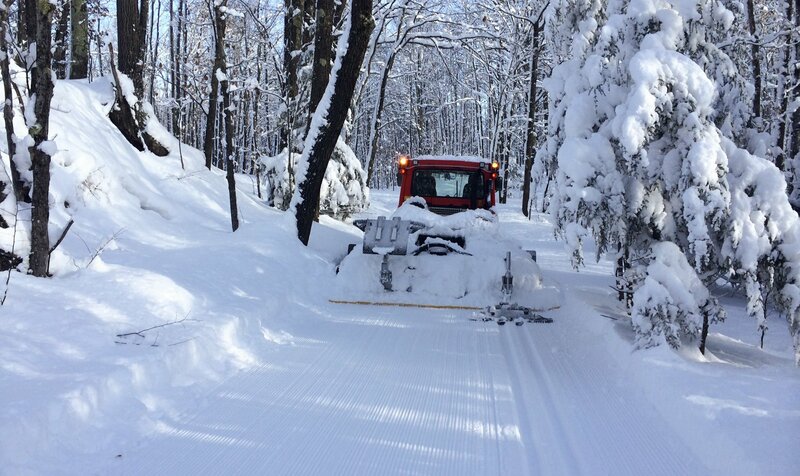 Eric Anderson and Angela Santini, owners of ABR, purchased a snowmobile dedicated to pull the rescue sled and will be erecting a small dedicated shelter for housing the snowmobile and sled.